MapleStory released a new teaser video of Lef new job 'Ark'. Ark is a member of Grandis' High Lef race and of the Pirate class. He can freely switch between two states: the Lef mode where he combines magic and classic High Lef fighting techniques and the Creeping Spectre mode where he gains immense power from the abyss. 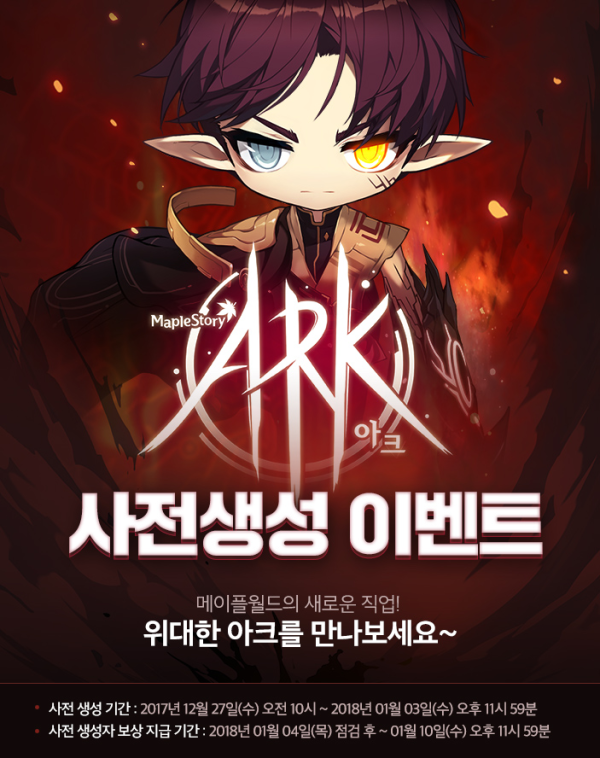 This ARK patch will be updated on the MapleStory Korean server in early 2018. If you look at the promo clip, you will see that this new character has come to see both eyes and shadows. There are also ancient characters on the forehead that may be associated with advanced ancient powers. Interesting that the skill will come out as well. In addition to updating this new career, there are also updates to the V CARE system, 5th job to update some details. Details to wait to follow soon. Ark is now playable in the Korean test server, and will launch on 4 January 2018.